There are a total seven chapters in the Mathematics book of intermediate part 2 and the aspirants who chooses FSC pre-engineering or ICS group to study are required to study this subject as it is the compulsory subject in these groups. All the students of inter part 2 of the above mentioned groups are required to study math’s thoroughly and to understand its concepts effectively. The paper of mathematics also comprises of MCQs, short and long questions. The mathematics subject of 2nd year is one of the most important subjects for students in science group. FSc pre-engineering students and ICS students study this course. The mathematics of inter part 2 discusses every theory and concept of middle and secondary level in detail. For the ease of students we have introduced a new section on ilmkidunya named as an online study section. 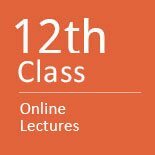 This section contains all online lectures of all topics and of all classes. Now it is not more difficult for aspirants to have access to online lectures they want to see over and over again. 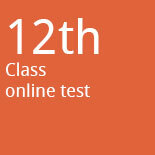 Now students of all classes can view and listen to online lectures on any topic they find difficult. Here on this page, the students can get the second year online mathematics lectures. All these online videos are uploaded in audio and video format and these lectures are recorded by the best teachers. Sir! Please add chapter 4. I will be very thankful to you for this kind act.plz sir complete my request. chapter 6 Conic Section ???? ?